2. Voo2Do How does it work? Voo2Do can be used to plan big projects, such as this one. Or even just household chores that need to be done in a given week. The beauty of Voo2Do is that you set deadlines for less than sixteen hours-which inevitably FORCES you to plan for your project. work on many projects at once. constantly jot down ideas so they can work on them later. If Voo2Do is so great, why is it free? "> If Voo2Do is so great, why is it free? II. How Does It Work? Voo2do is a program designated to keep one organized and it helps to use time more efficiently. With this program, not only can one make to-do lists for themselves, but they can also write notes, view projects, and keep track of important deadlines. Voo2do can be thought of as the next generation of personal planning. The Voo2do program was made for those who may have many projects to work on at once, those who constantly jot down ideas so they can later work on them, for those who need to prioritize, and finally for those who need to know where projects stand in the aspect of completion. Voo2do can be convenient for those of all ages. For parents, Voo2do can be used to keep their child's schedule in line. With keeping track of rides to school, sports, grades, parent-teacher meetings, etc., it can be easy to become flustered and forget a simple PTO meeting to attend. Not only will Voo2do assist in keeping plans organized, but also remembering deadlines. Remembering deadlines can also be helpful to a worker in a business setting. Falling behind in work for a major corporate job can be detrimental to one's profession. Voo2do allows one to avoid simple mistakes. Voo2do is not only available to older citizens, but to younger ones as well. A student can use Voo2do in a helpful manner when learning to manage and keep track of their own schedule. Each person can use Voo2do in an original way. For example, a football player may use Voo2do to keep track of important practices and games, while the valedictorian of the school may use Voo2do to remember important tests, papers, and meetings that must be completed. The graph below shows the usage of Voo2Do in the past 6 months. ">The graph below shows the usage of Voo2Do in the past 6 months. There are many options when working with the program of Voo2do. You can click on view and edit tasks. This allows the user to track each task with project, description, due date, priority, and time estimates. Just click and type to edit. Voo2do also allows one to keep notes on each task. Here you can log time-stamped notes with any tasks to track your progress. Voo2do allows the user to see the next actions at a glance. The dashboard shows the highest-priority tasks and their due dates, highlighting overdue tasks in red. The program lets users organize tasks into projects and contexts. Contexts, previously called views, let one see a group of projects together. It's like having a separate Voo2do account for home, work, or any other context. Also, Voo2do can review deadlines and history. The deadlines tab shows you what needs to get done this week. The history tab shows you what you've done, making status reports, invoices, or reviews easier than ever. Finally, Voo2do allows the user to assign and publish tasks. With this, one can make an area for active collaboration. 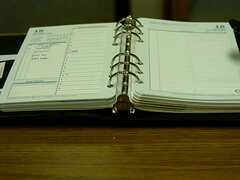 Tasks can be assigned and the publishing of a project can be viewed. In the following picture a collaborative group has been formed. The user also has the ability to publish a task to a public task list. This is basically a webpage that allows others to see, but not edit, your lists. This is great if you want co-workers or other family members to see the list, but not be allowed to edit that list. You have the option to password protect the page, allowing only people you want to see your list be able to do so. In order to become more aware of the purpose of Voo2do, our group has agreed to become better organized in the development of our project, by utilizing the program of Voo2do. Because this program allows so many options for keeping on task, we have decided to use Voo2do to plan our Web 2.0 project. By using and interacting with this program, our group has learned the true purpose of Voo2do; that is, to aid in the organization and efficiency of project planning. II. How Does It Work?">II. How Does It Work? What does a person have to do to start using it? ">What does a person have to do to start using it? To start using Voo2Do, all that one has to do is get a free account. To get a free account, on the home page, you click on sign up for free. You will then get redirected to the registration page. All you have to fill out is: your name, e-mail, password, your time zone and which date looks right to you. The site will send you a confirmation e-mail and you have to click on the link that Voo2Do e-mails to you. Only then will you be officially confirmed and registered. You can then log on and start organizing your life! To learn how to use Voo2Do, you can take a look at our page, "How Does it Work?" Or you can view our tutorials (created by Ashley Moss and Brittany Robertson) on how to use this application. How do you add a task? To add a task you click on the tasks tab at the top of the page. When the page comes up there is a gray button that says "New Task". You click on the "New Task" button and you fill in the fields that it asks for. You have a field for Project, Task, Notes, Priority, Due, Original Estimation, Current Estimation, Elapsed Time, and Remaining Time. After filling in all of the required fields, you click save. After you complete one of your tasks, you click on the white box next to your tasks so there is a check mark showing that you completed that task. What if I want to sort my tasks into groups or projects? ">What if I want to sort my tasks into groups or projects? To sort out your tasks into projects or groups, you have to create a new project. To create a new project, you'll have to go to the project tab at the top of the page. There is an empty field so you can enter in your project title. After you fill out what the name of the project is, you will click create and the project title will then appear below underneath the heading Active Projects. To organize your tasks into the projects that you created, you have to go back to the tasks tab and then in the field for one of your tasks you can type in the name of your project. Then it will be added into that project folder that you can access in the projects tab underneath the heading Active Projects. If you do not want to go to the projects tab to just see the projects and then click on the projects to just see those tasks associated with that project, you can then just view all of your tasks on either the tasks tab or the dashboard tab. Do not forget to always save everything after you edit the field. What other features does Voo2Do offer? ">What other features does Voo2Do offer? Under the collaboration tab you can create a collaborative context or a public task list. The collaborative context is where you can view your projects together. With this view you can assign people a task. Voo2Do is working on improving this feature so when you assign someone a task it will show up in their task list, but just for now, it's just so you can see who is working on what tasks so your project it well laid out and you know what else has to be done to complete everything that needs to be accomplished in a timely matter. The public task list is for if you want others to be able to view your tasks. To create a public task list you click on public task lists under the collaboration tab. You'll then be taken to a page where you can choose if you want to publish a project or a context. After you choose which one you would like to publish, you then choose the location, which is the URL that others will use to view your project or context. You can protect it with a password so only those that you give the password to know it or you can choose to have it remain public for everyone to view. You can also add notes about your project or context. You will then click publish. You now have a published context or task list! The notes tab shows all of the notes that you add to your tasks. To add a note to a task you will go to the task tab, and then you will find the task that you want to add a note to. Once you find the task that you want to add the note to you, will follow it over to where the note icon is. The icon is a little notebook. You'll click on the notebook and it'll pop up in another window. If it doesn't you might want to turn your pop-up blocker off. In the space that it provides, you type in what you want to write in the note. You will then click add note. Once you add the note it will refresh that window and show it on the top along with the space. Then write another note about that task if you want to. If you do not want to write another note about that task you can click the close button which is next to the add note button, and it'll close the window and take you back to the tasks tab. To view the note, you find that task again and you click on the note icon, it'll open up in a new window, and you'll be able to read the note that you attached to the task. You can also view all of your notes in the note tab. The deadlines tab shows what tasks are due or overdue. If you completed the task and you forgot to put the check mark in the box you can then add the check mark to the box and the that task will disappear and you'll be left with the rest of the tasks that you have due or overdue. Make sure that you always save the page. The history tab shows you which tasks you've completed and when you completed them. What if I need help? ">What if I need help? What are the features of my account?\\">What are the features of my account? To see what features you have for your account. You click on the my account link that is also located in the top right hand corner next to the help link. It'll take you to a page where you can see your features. The first thing that you see on the page is the usage summary. It shows you how many tasks you have/had, how many you have completed, how many you have left to complete and how many projects you have. Located on the left side of the screen are the links to the options that you have. You can choose from: usage summary, adding tasks by e-mail, name and e-mail, password, localization settings, backup/restore your data, close your account and request help. When you click on the links, they will take you to their respective pages as well. How do I log out?\\">How do I log out? When you are finished, make sure that you have saved everything! You don't want to lose your tasks or else you'll wonder why you ever switched from paper and pencil lists to an online list when you still lose the information both ways? To log out you click on the link that says logout. It is located in the top right hand corner as well next to help and my account. When you click on logout button, it will log you out and return you to the main page where you can log back in at. When I return how do I log in? ">When I return how do I log in? When you return to Voo2Do and you want to log in to organize your life, you look at the top right hand corner and click on the link where it says go to your dashboard. It'll take you to the log in page. You will then log in to start creating or finishing tasks! Teachers across the United States are encouraging the use of Voo2Do by their students, to help them get their assignments organized. For this reason and others, Voo2Do is being recognized across the globe as a valuable source of education. ">Teachers across the United States are encouraging the use of Voo2Do by their students, to help them get their assignments organized. For this reason and others, Voo2Do is being recognized across the globe as a valuable source of education. Forest Park High School lists Voo2Do on the school's website as an online education resource. The school recommends that students and teachers use the application for time management. Teacher, Tony Whittingham, is making his students complete a project using Voo2Do to organize the tasks of their project. In a 2006 article called, "Seven Things To Watch in 2006 And Beyond," Voo2Do is rated as number two on the list. This shows how Voo2do has been around for the past three years and the recognition that it is currently receiving for its educational value. To be acknowledge as number two on a list such as that is quite a feat. A man named Chris Brogan, was trying to create an Online Workflow. He wanted to make it so that a person could manage their projects and give them a network for collaboration, as well. He also wanted this system to be absolutely free. One component of the design that he created, included using Voo2Do to plan this Workflow and keep the project organized. Voo2do is helpful for busy people.That is the main target for Voo2do customers because busy people are the ones who need it the most. Busy people need a tool to help them organize their tasks and priorities. Students are also busy people who have a lot of projects and assignments to focus on. Through the different applications Voo2do provides. Using the time management and groups, Voo2do can help students stay on task and do things on time. A teacher could use Voo2Do to organize her lesson plans, projects, tests, and when to assign worksheets. For a elementary school classroom, Voo2do could be used to introduce students to using computers and planning at the same time. An example could be an assignment using Voo2do to plan out their after school activities. It would be evaluated on correct completion. A teacher could ask a student to create an account and make them add so many tasks, notes, and projects. They can then ask the student to make it a public task page so they can visit the page after the student sends them a URL of their public task page. The teacher can then grade them on completion or whatever they choose to. Voo2do could be assigned by a instructor as a means of coordinating a group project; This would be especially effective if the class had an emphasis on familiarization with technology. In college where most students own a laptop. Voo2do could replace a conventional student planner, to help them stay organized when they have exams, homework, work, and extra curricular activities. Not only would it keep a college students reminded of oncoming exams and assignments, Voo2do could also help him or her use their time in study more efficiently by organizing and prioritizing tasks, as well as timing the work performed on each task. A Business/Industry could use Voo2Do to organize a large project that they have going on inside their company. They can use the collaborative context to assign a task to everyone who is involved in the project. They could also make the task list public and set a password on it so only those who are working on the project can view the project and its tasks and who has to do what. It will keep everyone on task and make sure that the project gets completed in time. In the world of business and industry, Voo2do could be used as an interactive planner for the individual worker in much the same way that it could be utilized by a college student, as a simple tool for keeping track of their personal work and deadlines for the company. Voo2Do can also be used at home for various tasks. Or if you work at home and are trying to get more organized, you can use Voo2Do to manage your tasks and hobbies like this mandid. As mentioned previously, Voo2Do is a high-tech online planner which can be utilized by both teachers and students. The purpose of using this application is that it increases a person's overall productivity when undertaking one or more tasks. The following are unique ways of using Voo2Do for both a teacher and learner. 1) Assists students with the organization of personal schedules such as extra-curricular activities, part-time work commitments, volunteer work, exercise and recreational activities, appointments etc. 2) Allow students to record what homework they have due for each of their classes on a daily or weekly basis. 3) It allows students to differentiate what work has been completed and what is pending with the help of the history feature on Voo2Do. 4) The notes feature on Voo2Do enables students to write reminders for a task or project which they will attend to later instead of writing on Sticky Notes which can easily be lost or misplaced. 5) Enables a student to plan deadlines for various parts of an individual project. 6) Enables students collaborating on a group project to track progress of the specific tasks they are required to complete in order to fulfill the requirements assigned for their particular role. My group using Voo2Do to plan our deadlines for Project 2 is a good example of how this application can be used to track progress of tasks for individual roles with a group project setting. 7) It also allows students completing group work to publish their task list so other group members can view this. If the group prefers to not go totally public, they can set a password which is required to access the task list. 1) Allows a teacher to list their daily, weekly or semester deadlines such as organizing homework activities, newsletters to parents, fundraiser activities, teacher meetings, collecting resources for future lessons, parent-teacher conferences, dates for standardized tests, incursions/excursions. 2) Teachers can use Voo2Do to organize their personal schedules. 3) It allows teachers to differentiate what tasks have been completed and what is pending with the help of the history feature on Voo2Do. 4) The notes feature on Voo2Do enables teachers to write reminders for a task which they will attend to later instead of writing on Sticky Notes which can easily be lost or misplaced. 5) If there are group projects which teachers are collaborating on over a certain period of time such as tandem teaching for a particular lesson then a person's individual roles and tasks required can be tracked over time. 6) Teachers who have collaborated on lessons or tasks can publish their work so other teachers can view this. If privacy is required, a password can be set in order to achieve this. An elementary teacher is creating a website for her students about U.S. Presidents using Adobe Dream Weaver. The teacher is trying to find a time to create the website, but is having trouble because she also has her daughter's soccer game, a PTA meeting, parent-teacher conferencing, and a field trip to plan- all in the same week! Thankfully, she knows about Voo2Do and how easy it is to make a list and prioritize all of her busy activities. Our Confluence group used Voo2Do to set deadlines for our tasks on Confluence. Anytime there need to be tasks assigned or projects that need to be done, Voo2Do is the best way to get organized!! ">Anytime there need to be tasks assigned or projects that need to be done, Voo2Do is the best way to get organized!! ...but it's the BEST one!! Why? "> ...but it's the BEST one!! Why? The features (on the tabs) available on Voo2Do such as dashboard, tasks, projects, collaboration, notes etc. allow for it be an effective organizational tool in relation to other applications. Other applications such as Remember the Milk, are harder to navigate or know how to manage your tasks. Voo2do is very easy to navigate which takes one more worry out of our hectic schedules. - whether you can reliably commit to a new task." One application that could be beneficial to Voo2do, due to the competition in the world of online organizers, is the function of mobile phone updates. When researching the other organizational tools I realized that this would be a very useful tool for many since their life may be "on the go". Mobile phone would help people use Voo2do who do not have a desk job and are always in different locations. Voo2Do is the best online task manager for the simple fact that it has what other applications do not! ">Voo2Do is the best online task manager for the simple fact that it has what other applications do not! Voo2Do could definitely be used in other countries. There is not a place you can go in the world where organization is not important! ">Voo2Do could definitely be used in other countries. There is not a place you can go in the world where organization is not important! The problem with Voo2Do being used on an international scale is that there is a language barrier with the application. Unless a video is created to show people how to use the program, they will not understand because the whole program is in English. Instructional video using a screen capture could be used to show international partners how to use Voo2Do. In an email to Brittany Robertson, Shimon Rura told her that he had been working on the language barrier to increase his following of international users. Once the language barrier is broken, users all over the world could access and integrate this program into their lives to help them get organized! They could create their own tasks and projects on Voo2Do in their native language. Why is Voo2Do the best task manager in Korea? ">Why is Voo2Do the best task manager in Korea? Voo2do is the bestfit for getting things done (GTD). ">Voo2do is the best fit for getting things done (GTD). Trac - To view the projects in progress, you must click on them. Remember the Milk- already see a work history that can not be erased except those shortcomings are due. Koreans do not use Voo2do for a "GTD". But one Korean thinks Voo2do seems to be the most appropriate program. ">Koreans do not use Voo2do for a "GTD". But one Korean thinks Voo2do seems to be the most appropriate program. A Korean man blogged about a method created by David Allen, called GTD (Getting Things Done). His method looks like it suits the specific purpose Voo2Do was created for. Watch the video that was created by our Korean International Partners, Eun Jung Hyung, Yeon Soo Park, and Minhee Kim. The video is an interview with their professor in Korea about the international use of Voo2Do. Unlike Voo2Do, the Franklin Covey planner has spread internationally and is used in Korea because of its adaptability to foreign countries. There is a cost to purchase a Franklin Covey Planner. This money has allowed the company to expand and put money towards adapting their product for international users. Voo2do is an absolutely free application. Since Voo2Do is free, there are only so many changes that Shimon Rura (creator of Voo2do) can make to the program. Google Calendar is a free Web-based mail account. With Google Calendar, you can share your calendar with friends and even retrieve their schedules. Another benefit of using Google Calendar is that Microsoft (MS) Outlook can search the information. The Yahoo! Calendar is similar to Google Calendar or other online calendars. A nice feature of Yahoo! Calendar is that you can choose which events you would like to be public and which you would like to keep private. The world wide web is always changing, and so are many of its applications. Voo2Do is no different with these respects. While we can remain fairly certain that Voo2Do will be around for a while, as the developer Shimon uses it himself, we are not always sure. The always fluctuating price of web space is always influencing prices. Shimon doesn't always guarantee that Voo2Do will remain a free application, but he assures us "if Voo2do does get turned into a money-grubbing corporation, I'll do my best to make it an honest, reliable money-grubbing corporation that won't let down people who have come to depend on Voo2do as a free service." Another option that Shimon has considered is developing a premium version, with even more useful features. Here are some materials that will be handed out during our presentation on December 4, 2008. These items will be in print form during the Showcase, however, they will be available here as well, for future access. Poster and flyer designed by: Ashley Moss and Megan Roof. Powerpoint Presentation designed by: Ashley Moss, Megan Roof, and Christine Castek. Logo designed by: Ashley Moss and Megan Roof. 20. Franklin Covey Store, Franklin Covey Shopping. Retrieved November 20, 2008, from Franklin Covey Web site: http://shopping.franklinplanner.com/shopping/index.jsp? 2 Voo2Do: How does it work? I'm really excited about working with all of you on making this wiki chapter about Voo2Do! It's going to be a learning experience that we will all benefit from... We have a long but exciting road ahead of us and it's time that we get started. Now that you have successfully logged in, and seen what Confluence is about, go ahead and browse this wiki and all of its functions. There is also an assignment on BlackBoard that you must complete this week ("Confluence Online Discussion Assignment"). Like you, I am just learning what this website is all about. Basically, each page that we create in our wiki (this page) is called a "child". Each page will be a question that we must answer about our application. You have the ability to go in and edit each "child" within our wiki chapter. As you are researching our application (Voo2Do), and you find information that benefits our project, enter that research until the "child" labeled "Voo2Do Research". If for some reason, you run into any problem with Confluence, you can go to http://web.ics.purdue.edu/~haagard/utap/confluence/. ; This website has tutorials on using Confluence. If your question is still not answered by those, you may contact me and I will help you find the answer to your question! Now, if you would, just take a second to leave a comment on this page that tells me a little about yourself and what you are looking forward to about this project....even though most of us are all in the same lab, I don't believe I've gotten to talk to all of you, so I'd like to know you better before we start working together....I'll just start by saying that I'm a freshman and an elementary education major. I'm from Frankfort, Indiana, which is about 30 minutes away from Purdue. I have one younger brother that is a junior in high school. I love music!! I was in show choir in high school and I took piano lessons for 8 years. What I'm most looking forward to about this project is getting to work with our Korean student!! So go ahead and leave a quick comment! So I'm not going to lie, I'm really stressed out about this project. But.. I think we need to work really hard to get an A!! Who wants to take a final exam? Not. me. You can check my profile to learn some info about me, but here are some basic facts. I was born in California, moved to Kentucky, and now am in Indiana. Hometown for me is in Fishers IN. I have a younger brother named Spencer. In highschool I cheered, and I am trying out for the team for purdue this next year. I was very involved in choir as well!! I did both show choir and concert choir. I was the secretary in National Honor Society. Here at purdue I'm in the sorority Kappa Kappa Gamma. I'm excited to get involved with this project, becuase I know once we get started it will get easier. I'm a freshman and currently an elementary education major. I am from Greencastle, IN which is about an hour away from Purdue. I have a younger brother who is a freshman in high school. Him and I are pretty close which is so nice! I was in choir, speech team, and many other fun clubs while in high school. In my free time, I hang out with my best friend that I met during Boiler Gold Rush. Her and I like to ride the bus and see where it takes us. I'm looking forward to working with the international students. I am with Megan when she says that she is totally stressed about this project. My name is Divya and I'm an exchange student from Perth, Australia. I'm a Junior majoring in Elementary Education. I have 2 younger sisters and enjoy playing team sports, spending time with my friends/family and travelling. I'm looking forward to this project as it it something new and getting to know the people in my lab! I'm hoping it'll become easier to navigate this program once I'm familiar with it. So like Megan I am pretty stressed about this too!! I am from Highand, Indiana which is in northwest Indiana (20 min. outside Chicago). I have a sister who's a junior in high school. I am a sophmore waiting to CODO in to the School of Education. I am majoring in Special Education. Last year, I was in Nursing and decided it really wasn't for me. I am in Delta Zeta sorority and Best BUddies here at Purdue. It's nice to see you here. Tomorrow, the first task is let everyone play around the funtions of this wiki and edit their personal page. See you tomorrow. If you can, please come to the lab 20 minutes earlier. Tomorrow I will not be able to come 20 min. earlier to lab, because I have class until 11:20, but I will try to leave early if possible! Who was born and somewhat raised in California. Who is she? Who is someone in our group that is codo- ing from the College of Education into the College of Science?? Who in our group speaks German? I am currently a freshman here at Purdue and am in the college of education and trying to get a double major in special and elementary education. I have an older brother here who is Purdue Pete, and a little sister who is a freshman in high school. In high school I was on the Varsity swim team all four years and my sophmore year we won state! At Purdue I am a member of the Pi Beta Phi sorority. I am really Scared about this project, mostly because i do not understand it. Hopefully it will get easier!! Ok I have determined everyone's Role in the project! And also what "CHILD" page you will be contributing to the MAJORITY of the time....just because you are assigned a page does NOT mean that you will not add to the other pages! Voo2Do: How Does it Work? So far so good ?! I'll suggest your team start to write the chapter as soon as possilbe. If you have time, just post a small portion a day. In the end of this week, make sure you guys fill up initial draft in each children page of your chapter. Take group two- Teacher-tube as an example. Then you will know how much you should put in. It's kind of when you are doing the quiz during the lab. Present your topic points with a sentence and give examples with good details. Then it will be a good paragraph for a sub question. hey brittany. i have a question. so i just wrote my child and deleted all the old labels like i was supposed to, but i have no idea how to delete the comments!! It looks like you got it figured out, unless you want me to delete your comment? let me know before I go delete it! Ok Megan Ashley Divya Nathan and I are the only ones that have written our wiki page, TONIGHT by midnight is the deadline for writing your initial draft! We apologize to say later. , I Minhee Kim is called in South Korea. If you have a lot of good information so that hinder the uploard activities will be harder than late. Finally, Nice to meet you. Hi Minhee! Welcome to the group, I'm happy to meet you on here. We would like to know how you all think Voo2Do could be used in Korea. We are so happy to have you with us! If we need to get materials (such a laptops, extension cords, brochures, etc.) let me know your ideas so that I can assign tasks and let Shih-ping know so she can get us materials from iTap! Continue to revise the wiki chapter. Let's make it pretty and better! Hello, my name is Eunjung, and I'm so sorry that I couldn't participate in this project. That was because of my mid term exam, as I'm senior, I had many exams for major subjects. I have a few questions about what i should do as a developer. It would be relieved if you understand that my English isn't good, but I'll do my best with this project. I'm glad that i can join this group. Hello Eunjung! I'm Brittany, the project manager! I am SO glad to hear from you Don't worry about your English, I can understand it quite well!! And also don't worry about being so busy, I know how stressful this project must seem to you...we are also stressed out about it, but together we can do it! Just check this page everyday, that will help you stay connected to us! I need you to add information to our page called "Voo2o International". How can Voo2Do be used in Korea? Please get this information on the page before SUNDAY (November 16, 2008). As a developer, we were wondering if you would create a video with the other International Partners. Don't worry about making it complex. It could be a short video about what you have learned about Voo2Do and how Voo2Do could be used in Korea. Then we could play your video at the showcase presentation here on December 4. It would be like you are here with us!! A video with our international partners would REALLY benefit our group's progress. PLEASE consider it! Thank you! Welcome to the group! ok!! i understand your comments!! Voo2o International". How can Voo2Do be used in Korea? Please get this information on the page before SUNDAY (November 16, 2008). -> Yes, sir. I'll upload as soon as possible. This program is not used in Korea, I think. I want to know your opinion! -> ok! But It take a little time to create video! Can we upload video until the end of November? I'll work hard to create video with other International Partners : Yeon Soo Park, Minhee Kim. also we was wondering if we make a video in the form of an interview or do we need to create another type? -->Even if you can not information about how it is currently being used in Korea, just be creative. How could you use Voo2Do to schedule your tasks in college? You can also say that because Voo2Do is not a Korean application, you use another program. Tell us a little bit about that program and why it is better than Voo2Do. Can you have the video done by Nov. 25? yes!!!!!! Terrific!!! Thank you guys so much for working on this project with us, I'm very excited about it! I am here at hicks but I cannot find you I hopefully will see you on your way out or maybe if i am really lucky you will be on here and can tell me where to go. Sorry I couldnt find you... send me an e-mail if you need me to do anything specific. my name is Yeon Soo Park. I'm sorry that I'm so late to introduce myself. But, I'll do my best in this project. Hello! I'm Brittany, your project manager. It is wonderful to finally hear from you!! Don't worry about how well you speak English! We will all help each other to learn in this project. I can't wait to see the video that you, Eun Jung, and Minhee make for us to use! I'm sure it will be wonderful.. If you have any information that you would like to add to any of our pages, especially Voo2Do international, just click on the links at the top and then edit the page! thanks and nice to meet you! I'm having trouble. I would love to add in a couple of print screens to my page and I have them saved, but I have nooo idea how to add them in. Could you teach me? Hey megan, you should be able to add print screens by clicking the image button when you go to the edit part of your page. The image button is the square button that is yellow with a mountain in it. If you click there, you can brose the image and then click attach to attach the image to the page. Then click on "ok" and it should show up! Let me know if that answered your question! Backup plans-what to do when there is a problem (like confluence goes down) **PRINT OUT COPIES OF WIKI CHAPTER FOR SHOWCASE!! GREAT JOB this week!! Thanks for all of your hard work, and hey, it paid off! we got a 100% on our "final" draft of the wiki chapter!!!! we're still on track for our superior rating..
keep up the good work and we will have one less final to take this semester! This week: look over Divya's points for the showcase presentation!!! look over everything we have added and just make sure you feel comfortable in being able to explain what Voo2Do is and how teachers can use it in their classrooms! only a week & a half until the showcase presentation!!!!!! Hang in there guys, we're almost finished!! I will work with felt. But you can challenge other countries were together I'm impressed. Everyone was impressed with his aggressive imhaneun. Many feel the bar through the project.